Will Oakland's Legal Weed Industry Leave People of Color Behind? In the wake of the War on Drugs, state laws and industry culture are preventing Black and Latino folks from entering Oakland's burgeoning, hugely profitable cannabis market. Bert Johnson Amber Senter (L), Nina Parks, and Sunshine Lencho (R) are the co-founders of Supernova Women. Bert Johnson Attorney Endria Richardson believes felony convictions shouldn't exclude people from the cannabis industry. 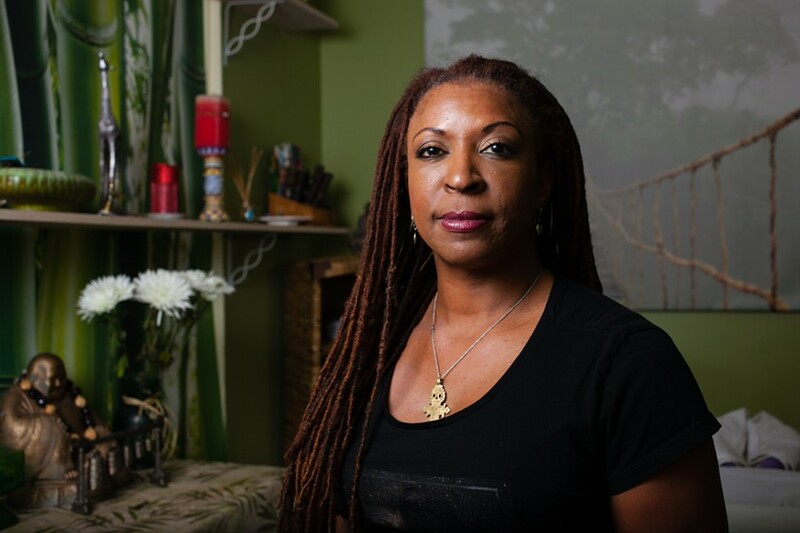 Bert Johnson Felicia Shaw of Mystic Herbal Body Care said she understands that distrust of law enforcement could prevent some cannabis entrepreneurs of color from going legit. Bert Johnson Claudia Mercado said that the mainstream medical cannabis industry often resembles a "boys' club." Bert Johnson Assistant City Administrators Gregory Minor (L) and Joe DeVries (R) said they are working to create equitable cannabis policies that could repair some of the damage created by the War on Drugs. On a Tuesday evening in January, people gathered at SoleSpace in downtown Oakland for a panel titled, "Shades of Green: The State of Cannabis in California for People of Color." 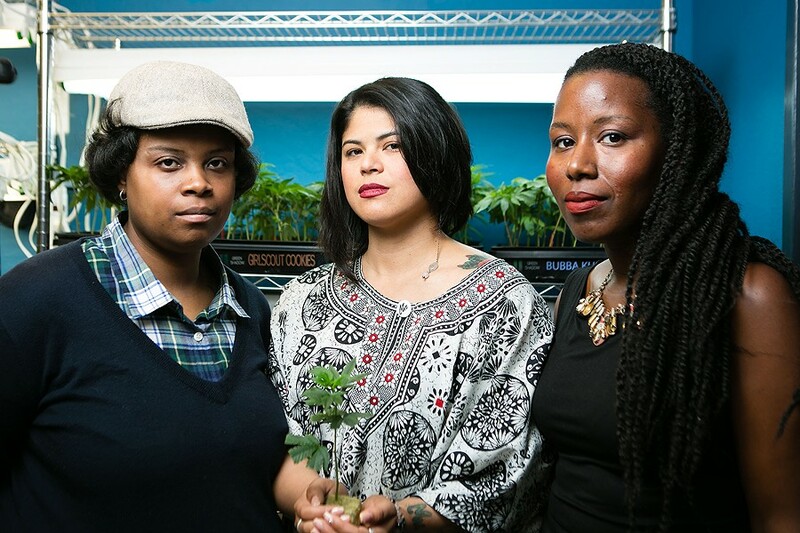 Supernova Women — a recently formed organization led by female entrepreneurs of color working in cannabis — organized the event, and it brought out an avid, intergenerational crowd of mostly Black and brown folks with varying levels of interest and experience working in the industry. The impetus behind the gathering was the fact that currently, Oakland finds itself at a critical juncture in the roll out of its regulatory policies regarding medical marijuana. While there are only eight licenses for cannabis dispensaries in the city at present, on April 26 the city council is scheduled to vote on whether to approve eight more licenses per year, starting this year, creating additional opportunities for entrepreneurs who have been operating in the underground market to go legit. The city is also considering implementing other cannabis licenses that would legitimize grow operations, delivery services, edibles and topicals companies, testing labs, and other marijuana-related businesses that are currently operating in a legal gray area. The women behind Supernova are Sunshine Lencho, an attorney who offers legal services to cannabis businesses; Amber Senter, chief operations officer at Magnolia Wellness, one of Oakland's eight existing dispensaries; and Nina Parks, who owns Mirage Medicinal, a cannabis delivery service based in San Francisco. 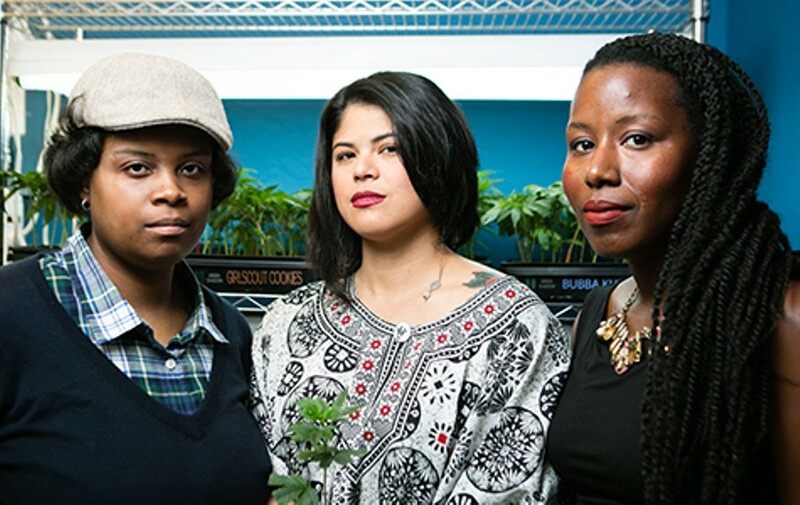 The three women formed an alliance after crossing paths at various networking events for cannabis entrepreneurs, where they said they often found themselves to be the only women of color in the room. Concerned with social justice and the welfare of their communities, they founded Supernova as a way to advocate for people of color in the industry at a time when the legal weed market's major players — both in Oakland and nationally — are overwhelmingly white and male. But they face serious challenges in their goal of integrating the medical cannabis industry. 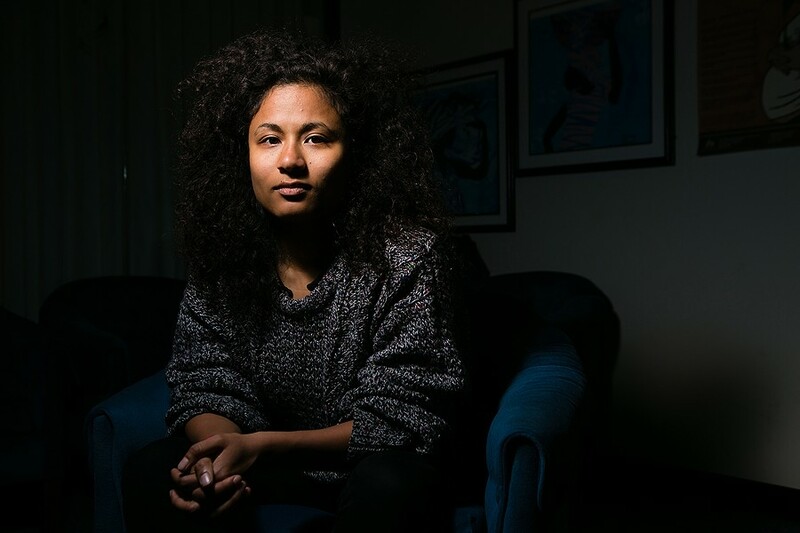 Advocates note that Blacks and Latinos have been and continue to be disproportionately criminalized in all aspects of the US criminal justice system, from racial profiling in arrests to harsher sentencing in the court system. As a result, people of color who operate underground marijuana businesses are understandably wary about coming out of the shadows. While many white cannabis entrepreneurs pride themselves in being outlaws, for many people of color, blatantly breaking the law is not an option. "I would never be able to say to my brother or sister to be an outlaw with the police, when I know the experience of what an interaction with police can lead to," said one of the speakers, Lanese Martin, who is Black and is the founder of CannaBizWatch, a watchdog organization advocating for a progressive cannabis policy. The audience met her statement with knowing nods. Despite recent reforms, law enforcement statistics show that police and prosecutors continue to target people of color for drug crimes in hugely disproportionate numbers. Blacks and Latinos are convicted for marijuana-related felonies — such as possession with intent to sell, which is still a felony in the state — at much higher rates than their white counterparts, even though studies show that Black and white people use marijuana at about the same rates. According to the report "Crime in California," which was released by the state attorney general's office in July 2015, 18 percent of arrestees for marijuana-related felonies in 2014 in the state were Black even though, according to the 2010 census, only about 6 percent of California's population is Black. Meanwhile, white people constituted 31 percent of arrestees even though they made up more than 40 percent of the state population in 2010. The costs associated with launching a legal cannabis business also present disproportionate challenges for people of color. 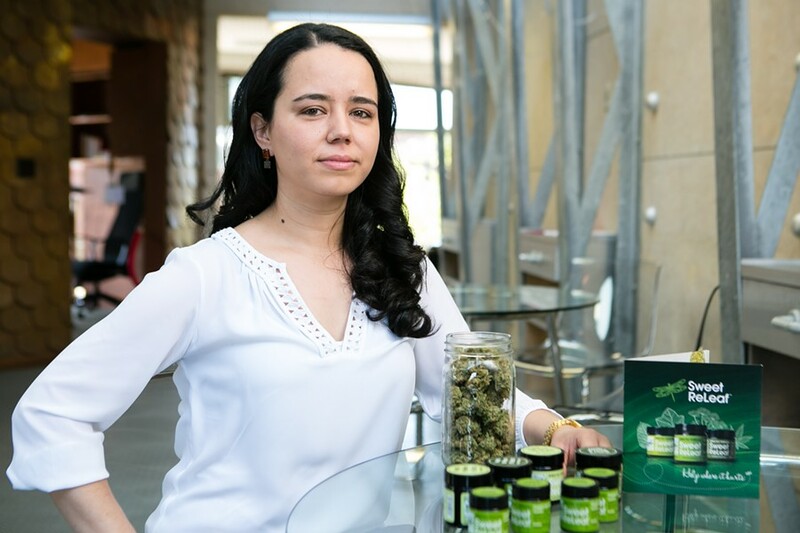 Depending on the type of marijuana business one wants to start, the total costs needed to pay for product, branding, operations, and licensing fees can range from several thousand to several hundred thousand dollars. And because marijuana is still federally illegal, taking out a small business loan is not an option — which presents a significant barrier to entry for those who don't have disposable income or cash savings. Another major factor that could prevent many cannabis entrepreneurs of color from going legit is Senate Bill 643, one of the bills that make up California's new Medical Marijuana Regulation and Safety Act (MMRSA). SB 643 allows state and local licensing boards to deny cannabis business licenses to people with felony records, including those with drug felony convictions. As a result, a large number of folks who were ensnared by the War on Drugs are at risk being systematically excluded from a burgeoning, hugely profitable new market. According to the BuzzFeed report "How Black People Are Being Shut Out of America's Weed Boom," published last month, only about 1 percent of cannabis club owners nationwide are Black. In Colorado, where the weed industry has produced a huge tax revenue surplus for the state, galvanized its tourism industry, and earned an estimated $700 million in profits in the first year of legalization — 2014 — there is only one pot shop owned by a Black woman among hundreds that have opened. 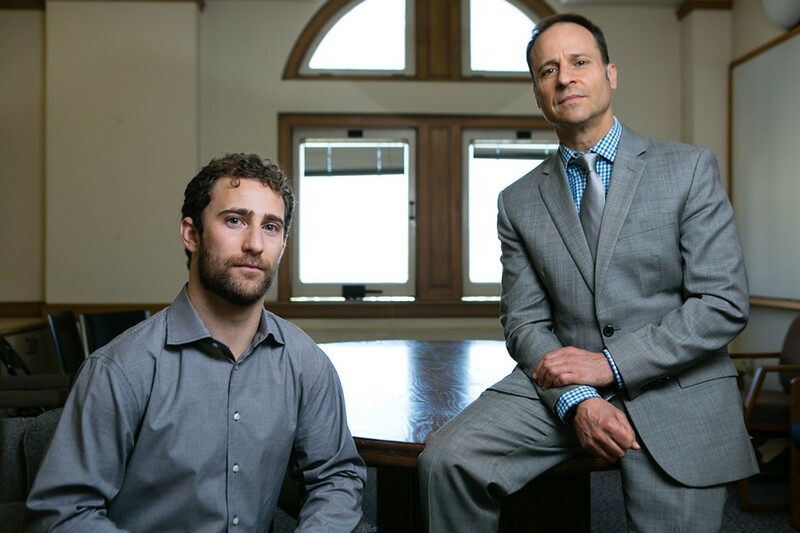 In short, white men, who are the least likely to be targeted by the US criminal justice system for drug crimes, despite the fact that they use drugs as much as people of color, and who are the most likely to have access to personal savings and private investors, have effectively cornered the lawful marijuana market in states that have legalized it. And the people of color who have been instrumental in supplying the nation's underground marijuana market for decades remain marginalized.